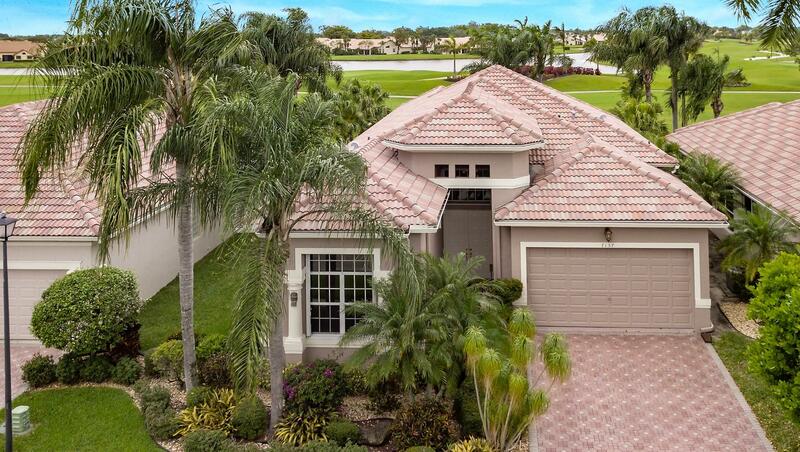 Aberdeen Country Club in Boynton Beach is situated on over 1,700 acres and offers 2,900 residential houses, villas and condos in 25 subdivisions. All of the communities on the West side of Jog Road have a mandatory membership requirement. The east side has no main club membership but has a clubhouse of its own with pool, fitness, meeting room, living room. West side communities requiring membership that are age 55+: Addison Green, Brittany Lakes, Oxford Place and Carrington Lake, Lancaster, Fairway Lakes. Others are for all ages. There are 19 villages with no zero lot lines, ranging from estates to villas to condos. Aberdeen offers 18 holes of Desmond Muir-designed championship caliber golf (ranked by Golf Digest Magazine as the 4th most challenging course in Florida), tennis, a fitness center in a studio of its own outfitted with professional weight training and cardio equipment, and a full-service country club with gourmet restaurant, lounge and grille room. Several types of memberships are offered, including a trial membership. There is a 40,000 sq ft grande clubhouse on the west side with card rooms, fitness staff, exercise/ dance,stretching classes, yoga, Tai Chi, pilates, water aerobics and a wellness center with state of the art equipment and cafe. Main dining room with lovely golf views offers fine and casual dining. There is a lounge with a full-service bar. Visit the Fitness Center/Poll Complex. Play on the 15 Har-Tru tennis courts. Meet friends in the Card Room, Bar and Lounge. Go on many social events, trips, join clubs and classes,enjoy casual evenings, elegant dinner dances, concerts, theme parties. One room has cyber-care, video games, billiards, pin pong, darts and a place to relax. There are Children’s activities and carnivals during holiday weeks. IDEOFor costs and brochure, email marilynfjacobs@gmail.com or call or text 561-302-3388.